There’s no shortage of foodie experiences to enjoy at this Spring Farm Market Festival. For those looking for a sit-down meal, 868’s Farm-to-Fork restaurant, Grandale Vintner’s Table, will be open during the festival serving regular fare and featuring a special prix-fixe menu. This 3-course menu for just $25 ($35 with the optional wine pairings) features the freshest flavors of the season including local mixed greens, heirloom tomatoes, tender asparagus and local honey. Chef Author showcases his incredible talents by whipping these ingredients into one amazing menu. Reservations are recommended and can be made here. For a more casual dining experience close to the action, 868’s Grill will be turning out favorites like local pork BBQ, hot dogs, and vegetarian black bean burgers. Or, you can visit the nearby Grandale Tent for grouper fish tacos and grilled chicken with gourmet mac-n-cheese. Ready for something sweet? The Inside Scoop ice cream truck will be serving hand-dipped super-premium ice cream and root beer floats. Just follow your nose to your perfect springtime meal! A seasonal festival wouldn’t be complete without some fun local beverages. 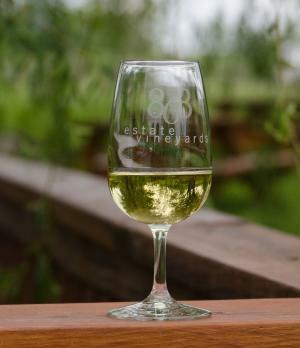 For that, this festival offers wine tastings from the award-winning host, 868 Estate Vineyards, which includes six delicious wines. 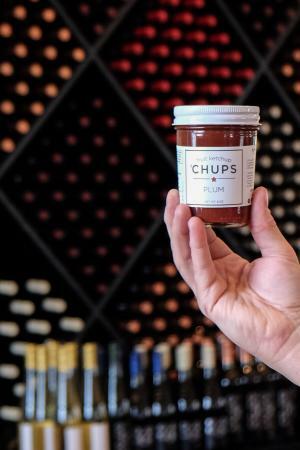 There will also be wine and cheese tastings featuring cheese from Goot Essa and signature “Truffle Tastings” with homemade chocolate truffles paired alongside more local 868 wines. Ever seen a working apiary (a live collection of beehives)? Shade’s Farm will be onsite to show you how they work and answer all your questions about bees and beekeeping. Set the kids off on 868’s scavenger hunt to test their skills as an explorer while you enjoy a glass of wine at picnic table in the shade or seek out our Cathedral Window Bottle Tree – a perfect photo spot near one of the vineyards! If art is more your style, 868 Estate Vineyards features the works of local artists in the tasting room. During the festival, you can enjoy the colorful works of Jan Sherfy’s Familiar Places exhibit. Her vibrant abstracts might be just the piece you’ve been looking for! Shop until you drop. Or, at least until you need another glass of wine. The Spring Farm Festival will feature a diverse group of vendors selling everything from handmade cheeses and oils, to local produce and honey, and even jewelry, bath products and Spanish pottery. 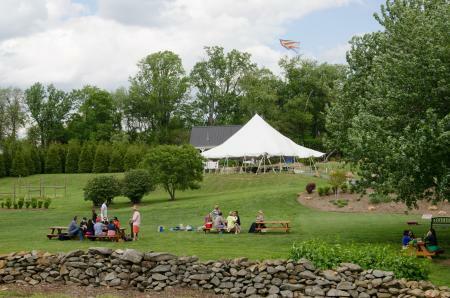 Listen to live music, playing in the covered outdoor pavilion from afternoon into the evening. Though the festival winds down at 5PM, 868 will have extended hours with music, wine and food until 8:00PM. Challenge your party to a game of corn hole or giant jenga, both available just outside the pavilion area. If, after all the activity and festivities, you would like a little solitude, grab a bottle of wine and some local, handmade cheese, and hike up to the top of 868’s beautiful hill for gorgeous valley views and a little peace and quiet. Mark your calendars and we hope to see you all at 868 Estate Vineyards on May 20th!